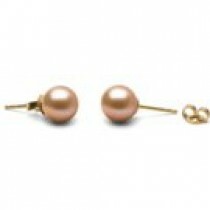 White South Sea pearl stud earrings, 8-9 mm, perfectly round shape, graded AAA, mounted on solid 14-karat gold posts. Yellow or White Gold. South Sea white pearls with beautiful silver overtones, spotless surface, 8-9 mm, wonderful pearls that shine with a wonderful luster. Quality is AAA. 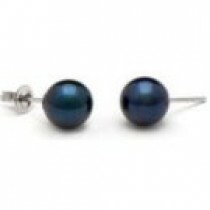 Australian South Sea Pearls have something magic. They are completely different form the others, they are the most requested pearls. It's a luck that we can propose such a low price for these gems . 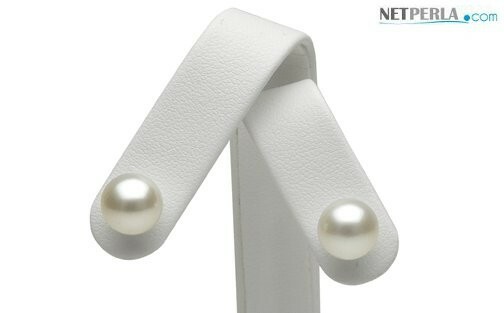 The pearls are set on solid 14 karat white or yellow gold, heavy-weight posts and backing, which will hold snug to the ears.